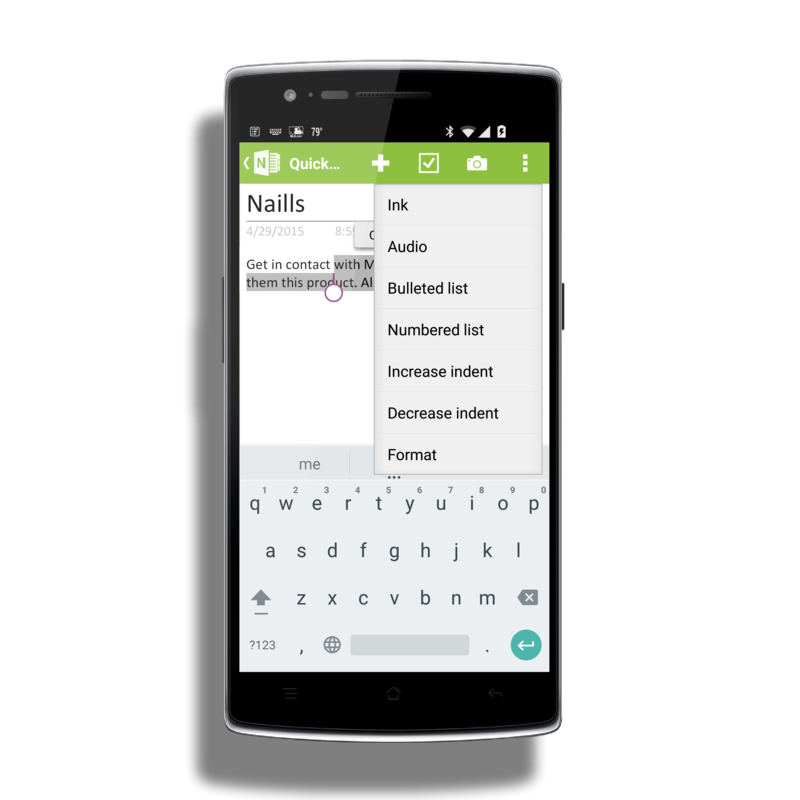 Microsoft has released a new update to the OneNote for Android app that brings several new and advanced editing features to the note taking app. The update, version 15.0.3931.1008 for those keeping score at home, follows up on the general release of the entire Office for Android Phone yesterday. While a part of the Office suite as a whole, OneNote for Android has been out for Android phone and tablets for some time now and is on a different development cycle. This app is also free and it uses your OneDrive account to store and sync your notes. The major change in this update to OneNote for Android is that you now have the ability to move or copy pages between notebooks or sections in the app. Previously this could only be done via the desktop apps. It means that you can more readily organize your notes or sections while on the go with your phone or tablet without having to fire up the PC or go to the onenote.com website. As you would expect too, there are bug fixes being mentioned in the Release Notes but there are no specifics as to what bugs were addressed or any other under-the-hood improvements to the app. As a reminder for those with Android Wear devices, there is a OneNote for Android Wear app available in the Play Store as well so you can take a quick peek at a note on your wrist.